If you own a compatible computer and monitor, you can access Netflix’s growing library of 4K content from your computer. However, due to the use of Microsoft’s PlayReady 3.0 DRM (digital rights management) system, coupled with the intensive task of streaming 4K content, not every PC owner will be able to access the Ultra HD library. 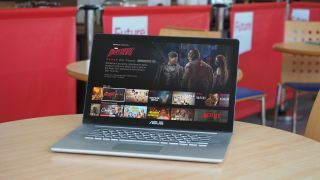 So, if you want to watch shows such as Luke Cage, Breaking Bad and Daredevil in 4K on your PC, read on to find out what you need to get 4K running, and how to set up Netflix to view 4K content on your Windows PC. Netflix 4K on PC: What do you need? Before viewing 4K content from Netflix, you’ll first need to make sure you have the following. First of all, you’ll need a Netflix subscription that offers UltraHD. The standard subscription doesn’t include Ultra HD content, so you’ll need to go for the most expensive version, which costs £8.99/$11.99/AU$14.99. If you’ve already got a Netflix account you can go to the Change Plan section of Netflix’s website to see what plan you’re on. From here you can also change your plan – though you may want to make sure you have the rest of the equipment you need before you switch to the more expensive subscription. To stream 4K content you’ll also need a fast broadband connection of 25Mbps or higher. If you’re not too sure what your internet speed is, check out our guide on how to test and improve the speed of your internet connection. Because Netflix 4K streaming on PC requires PlayReady 3.0 you will need to have the Windows 10 Anniversary update or later installed. Read our how to download and install the Windows 10 April 2018 Update guide to find out how to make sure you’re running the latest version of Windows 10. If you’re running an earlier version of Windows, or another operating system entirely, then sadly you won’t currently be able to watch Netflix in 4K on your PC. You’ll also need to make sure your hardware is capable of 10-bit HEVC encoding. This means you’ll need a seventh generation Intel Kaby Lake processor or Nvidia’s 10-series graphics card (the GTX 1080 Ti, GTX 1080, GTX 1070 and GTX 1060). AMD has also recently released its latest Adrenalin Edition drivers, which means its GPUs now support Microsoft PlayReady 3.0, so if you have an AMD graphics card, you should now be able to watch Netflix in 4K. Even though there’s a Windows 10 app for Netflix, for 4K content you’ll need to use the Microsoft Edge browser. You will also need a 4K monitor or 4K TV connected to your PC to watch Netflix in 4K, which supports HDCP 2.2. Check your monitor's manual to make sure it does. If you’ve checked that you have the right subscription and equipment for watching 4K Netflix content on your PC, then open up the Microsoft Edge browser and head to the Netflix website. Sign in to your account if you haven’t already, then click on your user name in the top right-hand corner of the screen, then click on ‘Your Account’ from the menu that appears. Click on ‘Playback settings’ under ‘My Profile’ from the next screen, then make sure that under ‘Playback Settings’ you select ‘High’. This will now enable you to play 4K videos in Netflix on your PC. Best movies on Netflix: over 100 to choose from!